Dexter's family found him up this tree and called me late one night to ask for help. His "mom" was going out of town the next day and didn't like the idea of leaving him in such a difficult situation while she was gone. 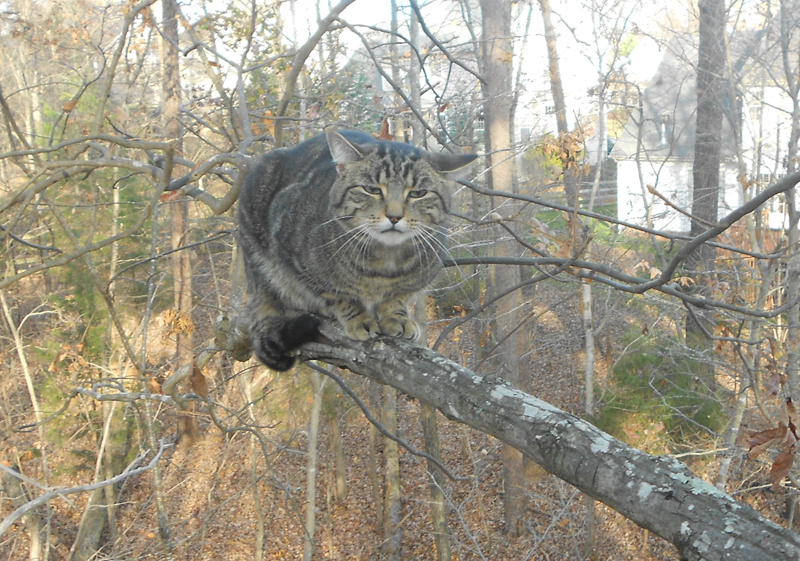 Poor Dexter never moved from his spot in the tree during the entire rescue. He was obviously very scared, but once I got to him he let me make the grab and he happily submitted to being stuffed in the rescue bag.